That time we played with the Rolling Stones… it’s hard to believe that was 35 years ago. About 8 years ago I produced a radio show about that experience. Attached here is the segment from my internet radio show, musicLAB. It’s the master track of the piece so you won’t hear any breaks or chatter. I hope you enjoy it. 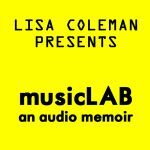 An audio memoir by Lisa Coleman. The Stones.